Yet another MMO catches the free to play bug. Back in 2009, Aion's winged combat was the latest killer feature of an MMO that was going to unseat World of Warcraft. Even though Aion had some pretty backgrounds and innovative gameplay, it of course didn't fare very well as a WoW-killer. 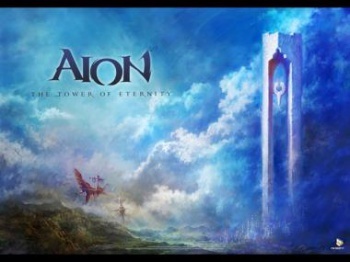 Today, Korean MMO company NCSoft announced that as of February 2012, you will no longer have to pay a monthly fee to access nearly all the content on Aion's servers. Oh, and NCSoft isn't even handling publishing anymore, Aion will now be run by Gameforge. "Switching to free-to-play opens the lands of Atreia up to new adventurers," read the announcement. "As more Daevas take to the skies, the increase in population will make for a more diverse and expansive community for newcomers and existing fans to enjoy." Read: We think this will make us get new customers so we can turn a profit here. The Aion website has a handy FAQ that will answer all the nitty-gritty questions about the shift to free to play, but basically the every quest, zone and feature is 100 percent available for free. There will be three statuses of players: Starter, Veteran and Gold. Starter characters are the full free-to-folks and they will have restricted access to chat and the selling of items - ostensibly to cut down on gold spammers - while the Veterans are those players who used to have a subscription and they will enjoy extra character slots and better commerce options like opening your own store, etc. Those who fork over an as yet undisclosed amount of actual money can buy a Gold Pack, which will give more perks like faster leveling and quicker instance cooldowns for a set amount of time before the account automatically downgrades to whatever (Starter or Veteran) you were before. It sounds like a decent setup, honestly. You'll have to switch your account over to Gameforge, but otherwise it looks like the transition should be painless. And if you've already paid money to continue your subscription past February 2012, NCSoft said they will refund your money. So you've got that going for you, which is nice. At this point, I assume that every MMO will be going free to play in the next few years as it seems to be the only model that works for anything with out "Craft" in the title. I'm looking at you, The Old Republic.